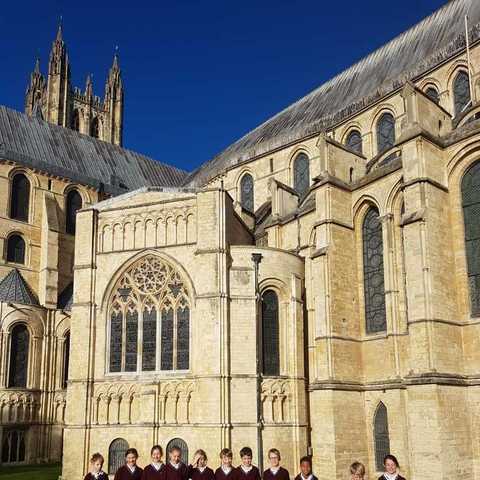 In RE this term Battle Abbey Prep School Year 4 have been studying why pilgrimage is so important to a variety of religions. Where better to visit for this theme than one of the most popular places of Christian pilgrimage in England; Canterbury Cathedral. It was a very cold morning when an exceedingly excited Year 4 set off to Canterbury. On arrival the children were welcomed by one of the Cathedral Educational Leaders. 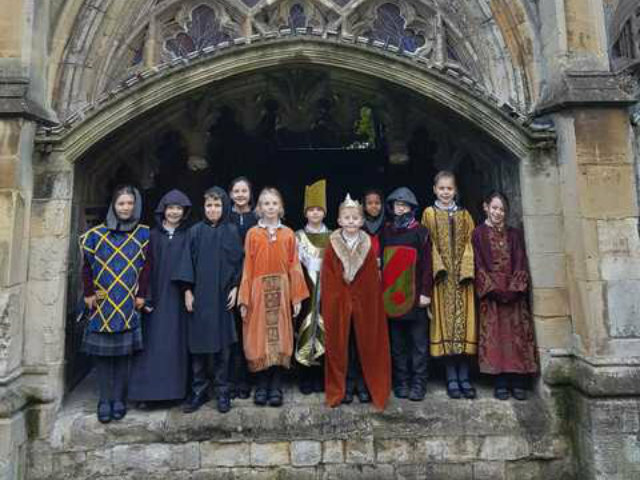 They then donned a variety of historical costumes; Pilgrims, Monks, Knights and even the infamous Thomas Becket and King Henry, and were led inside the Cathedral for the costume trail and guided tour. The children learnt about some of the history of the Cathedral and why it became such a popular place of Pilgrimage. Year 4 then acted out the grisly story behind the death of Thomas Becket and how he subsequently became a Saint. They saw where he was murdered and where his tomb was placed in the Crypt, then moved to the Choir, and then ultimately destroyed by Henry VIII. The afternoon saw the young historians making Pilgrim's badges, stain glass windows and writing with inked quills.